Soon after being selected by the Detroit Lions in the second round of the 2018 draft, Auburn running back Kerryon Johnson revealed that he wishes he had been alive to watch Barry Sanders play (Johnson was born in 1997). Then there’s new Falcons running back Ito Smith, whose real name is Romarius but whose nickname is Ito because when he was born, his family thought he looked like O.J. Simpson murder-trial judge Lance Ito. You are old, I am old, and if your team is still operating under the strategies it employed when Johnson and Smith were born, it is behind. Each year, the NFL draft teaches us about where the league is. It is a snapshot of everything the sport believes in. A center was picked first overall in 1939, ending a two-year stretch in which a fullback went first. Since 2001, 12 quarterbacks have gone first overall, the same number as between 1965 and 2001. Since the draft began, running backs are the second-most-popular first-overall pick, but that pick hasn’t happened in 23 years. 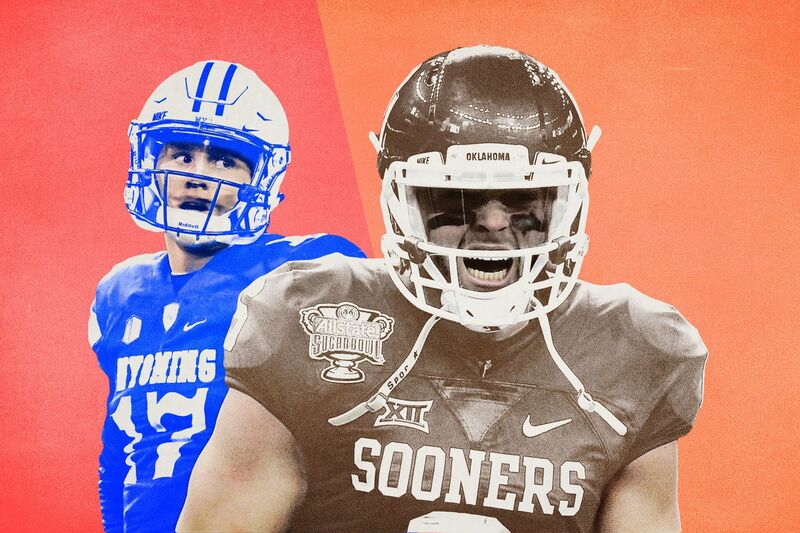 In some ways, this year’s draft suggested that the league is as forward-thinking as it’s ever been: Baker Mayfield, an undersized quarterback from an Air Raid system, was selected first overall. Teams also didn’t let the apparently “too smart” Josh Rosen or Lamar Jackson drop out of the first round. But in other ways, the league looks like it always has: A running back was picked second overall by a general manager who mocked analytics and admitted he never even considered trading out of the spot, and there was, just generally, Josh Allen.